Triple C Charters: THE HEAT IS ON!! down your drag when fishing tight to any structure and remember that snook season remains closed so make sure to release them carefully. Please take particular care to revive the large, breeder females that we catch this time of year. (watch for dolphins). Under those same docks and mangrove shorelines we are finding slot redfish and mangrove snapper which are both excellent table fare. Another species we target this time of year are the spanish mackerel. They are strong fighters with a nasty disposition but they also make excellent fish dip! 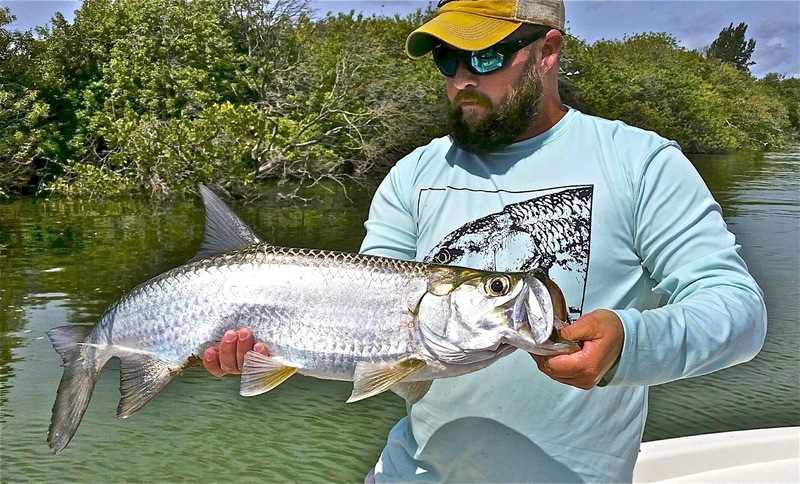 Tarpon have been finally settling down after the late season fronts and most recently the tropical storm that stirred up the Gulf of Mexico. As usual, the bridges and passes are where most of the fish are being caught. 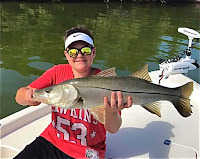 There are also quite a number of fish that have pushed well up into the bay with the hordes of threadfin herring that can often be seen on the surface getting ripped up by fish from below and dive bombed by birds from above. This time of year also brings an abundance of sharks. 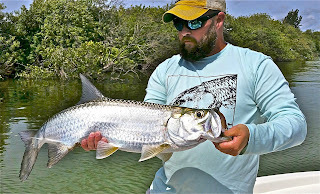 Blacktips, bonnethead and the atlantic sharpnose in the 2-4ft range are the most common species we catch on the flats. They make for a good fight and some excellent fish stories. Cobia have also made a strong showing this year. They can and will show up just about any time but more likely while we are chumming for mackerel or trout. I always try to keep a separate rod rigged with a swim bait or soft plastic that can be casted quickly and far, on sometimes, very short notice.